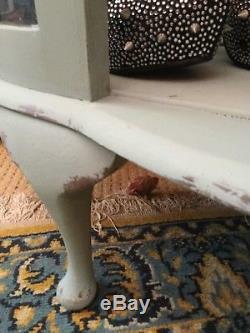 A place where you will discover one-off pieces of furniture which are so unique they will steal the focus of your room! 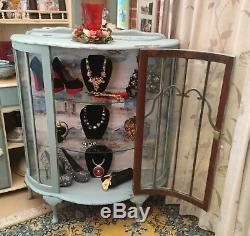 STUNNING VINTAGE GLASS DISPAY CABINET. 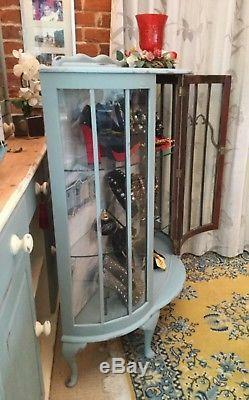 Here is a Stunning vintage glass display cabinet with two glass shelves & is lockable with key. 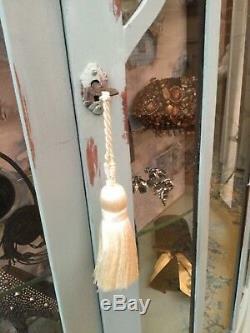 Ideal used for a shop display but equally prefect to display your favourite China or trinkets. This versatile piece of furniture has so many uses and would look wonderful, enhancing any home! 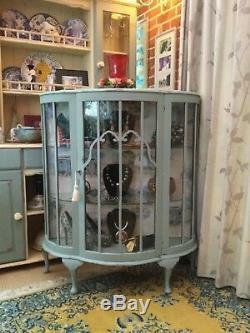 The cabinet has been hand painted using Specialist Furniture paint Annie Sloan Chalk Paint in Duck Egg Blue, lightly distressed and finished with clear wax/varnish to enhance and protect. 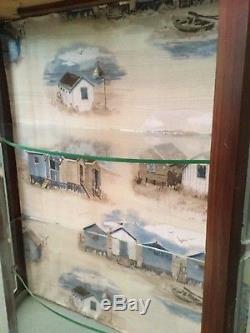 The cabinet is lined with a gorgeous beach hut fabric giving a luxurious touch! 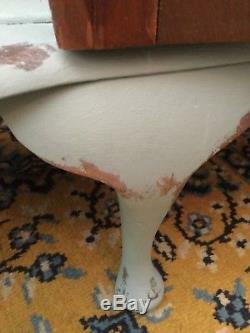 As with any preloved item of furniture you may find a few nicks or knocks but these just enhance its age & beauty typical of the shabby chic style. If you are looking for a new item in pristine condition then this desk is not for you! Displayitems/Accessories not included in sale. Width 39 ins, Depth 14. Items to be collected Cash upon collection. My furniture doesn't come boxed please ensure if you are using your own courier that he carries protective covers/blankets as I can not be held responsible for any damage once the item has been collected from me. 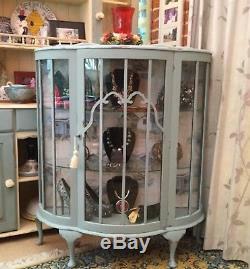 The item "SHABBY CHIC STUNNING VINTAGE GLASS DISPLAY CABINET" is in sale since Tuesday, November 27, 2018. This item is in the category "Home, Furniture & DIY\Furniture\Cabinets & Cupboards". 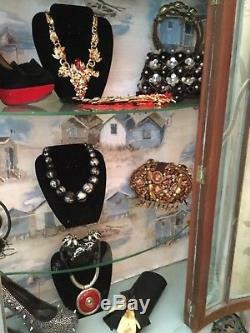 The seller is "revival-designs" and is located in Diss. This item can be shipped to United Kingdom.